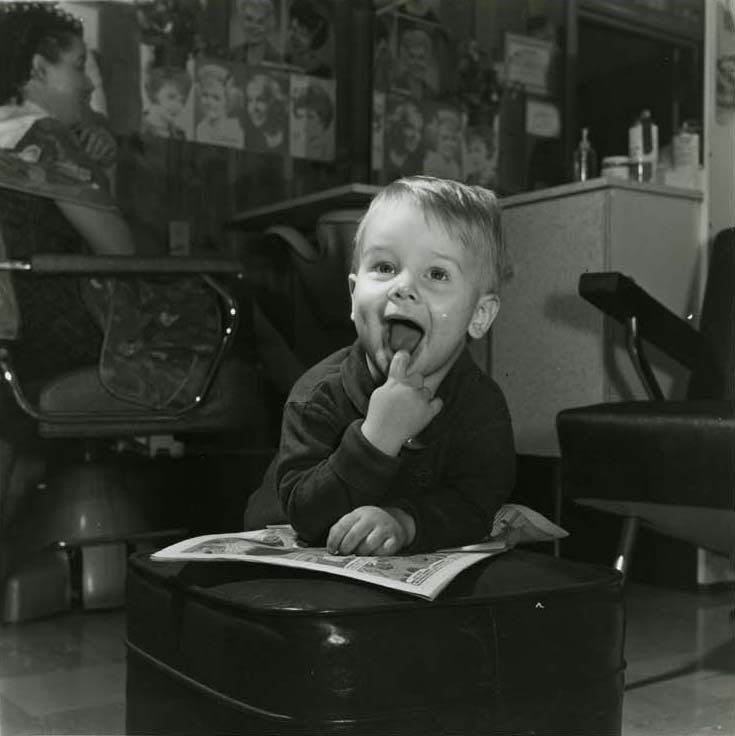 Bobby Lee Best poses for a photograph while his mother has her hair styled. On verso: "Mrs. Logan Mitchell-Beauty Shop-Mrs. William Best & son Bobby Lee." Temple, “Bobby Lee Best,” Chronicling Illinois, accessed April 24, 2019, http://chroniclingillinois.org/items/show/30954.